He has toured the U.S., Japan and Europe as support for various musical acts, including Matmos, Hijokaidan, and Torche at venues such as Bimhaus, Paradiso, Café Oto and National Sawdust plus in numerous international music festivals NuMusic, Night of the Unexpected and Ende Times Liberation Festival. He performs regularly in Baltimore’s experimental, electronic and improvised music scene. Jeff is known as an innovator with a unique sonic signature. His electronic works Chop Chop and Machine Gun Etiquette premiered at Nordic festivals and he has over 20 releases. Precursor to Hypercube, an experiential music installation with bass-activated seating, was recently showcased at the Recombinant Festival in San Francisco. David Grollman is a percussionist from NYC who performs freely improvised music. He performs in art galleries, tiki bars, and venues of curious ambience made more curious by his mongrel sounds. David bows, scrapes, blows, slaps, rubs, caresses, abuses, and generally tests the limits of his instrument. Anything is game. Anything may be a participant if the musical conversation calls for it. Artist, instrument, audience, and environment become ambiguous terms, conspiring in a theatrical exploration of chance dynamics and serendipitous exchanges. Andy Haas has performed, recorded and collaborated with many musicians who were at the center of the creative avant garde music coming out of NYC by the ’90s, such as John Zorn, Fred Frith, Ikue Mori, Thurston Moore, Marc Ribot, and more. Haas was an original member of Toronto’s Martha & the Muffins, which formed in 1977. He played saxophones for the band through their 1981 release, This is the Ice Age. For this mini tour they are performing with special guest Don Fiorino. Don plays a variety of string instruments, including guitar, glissentar, lap steel, banjo, lotar and mandolin. His approach to improvisation has influences of blues, rock, lap steel, psychedelic, jazz, and Indian and Middle Eastern fusions. Don is also a painter. His improvised music is similar to how he paints: integrating textures, colors, forms and various traditions into his own signature. Don has performed widely in New York City, both above and below ground. He has played and recorded with Andy Haas (duo), Radio I-Ching, Hanuman Sextet, Dee Pop’s Private World, Adventures in Bluesland, Ronnie Wheeler’s Blues and Attention Screen. He also played as a sideman to Carolina Slim (Elijah Staley). Wall Wymyn is the Philadelphia-based duo of Kate McGuire and Ellen Foster. Sometimes harsh and sonically dense while at other times spare and quiet, they draw on the timbres and harmonic resonances created by their respective instrumentations to build an improvised sound influenced as much by early Whitehouse as by Joan La Barbara or the Theatre of Eternal Music. 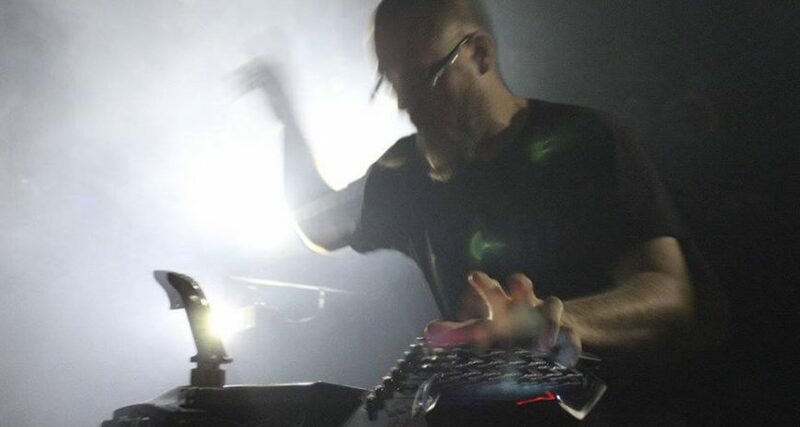 McGuire works with handmade electronics to create thick clusters of square waves and voice-responsive sounds, mixing in sung straight tones, staccato ululations, glottal pops, and rumbling multiphonics. For this project, Foster, a classically trained violinist, departs from melodic terrain, playing through delay effects to create layers of slowly-evolving drones, rhythmic patterns, and dry, scraping textures.